Quirky Monsters Playfully Occupy Abandoned Berlin Warehouses #ArtTuesday « Adafruit Industries – Makers, hackers, artists, designers and engineers! Makes me nostalgic for Nickelodeon’s mid-90s cartoon Aaahh!!! Real Monsters. German street artist Kim Köster is doing the impossible—turning the typically scary content of monsters and abandoned buildings into interactive entertainment for children. 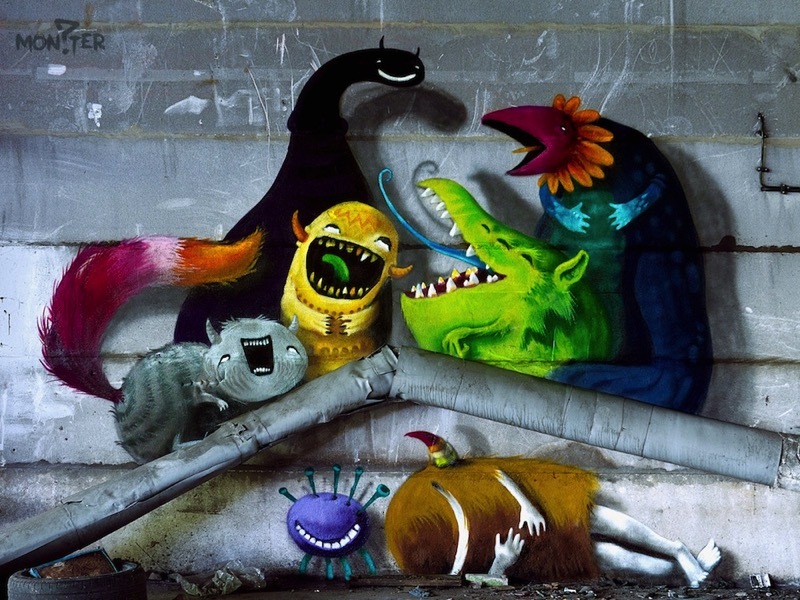 Köster started by spray painting mischievous monsters in derelict warehouse sites outside of Berlin, allowing them to playfully interact with the surrounding architecture. Köster is now turning these works into an interactive children’s picture book called Monzter that gives kids a chance to play with these colorful creatures without having to wander into any creepy buildings.